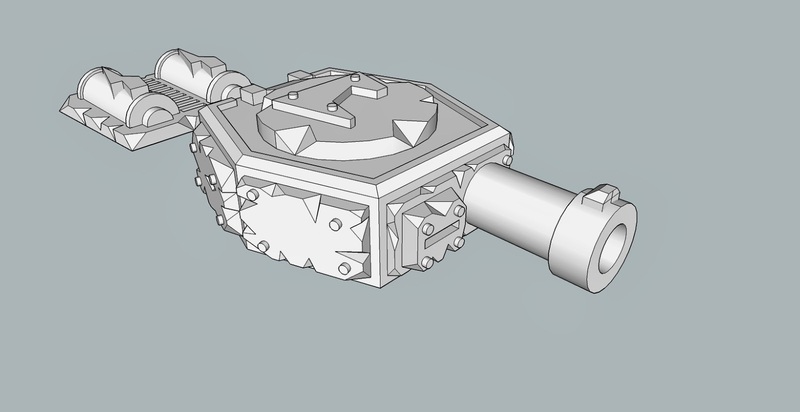 I decided to spend the evening doing a little design work for my Grot Tank conversions. 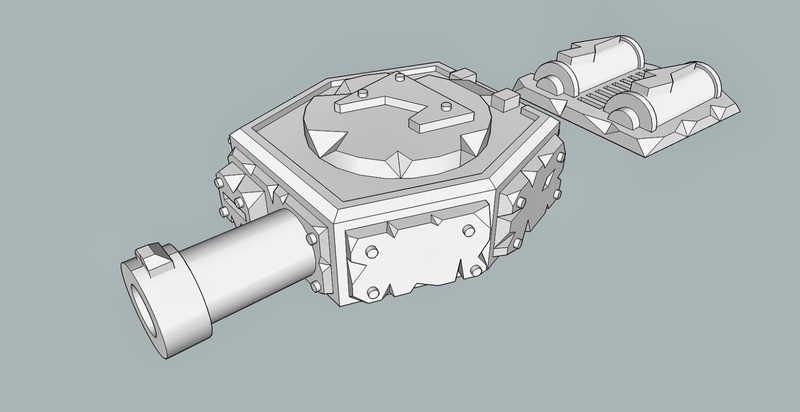 As you know from a few posts down, I'm using the Robogear Varan tank as a base for my Grot Tanks. There is a big empty section on the back (or front depending on your point of view) of the tank where the Robogear driver is supposed to go. I'm going to be putting the power plant there. As my Grots are part of a Mek Army, they are of course excited by all things made of cool new tech! I decided to go with some proppa sized batteries for my tanks. They're hybrids. Haha! 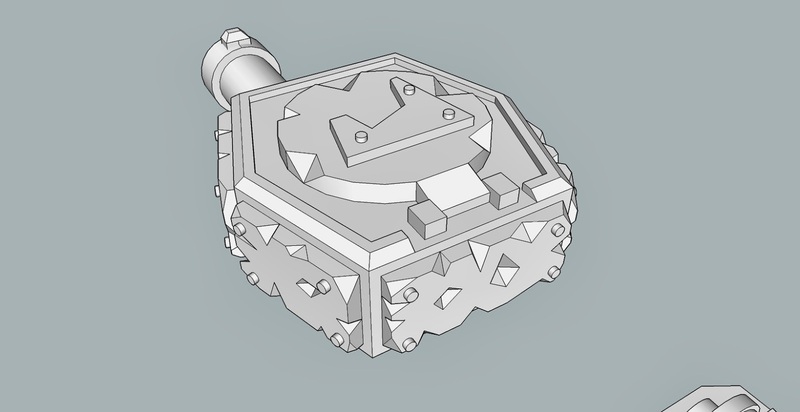 Also, I made serious progress on my Grotzooka Turrets. 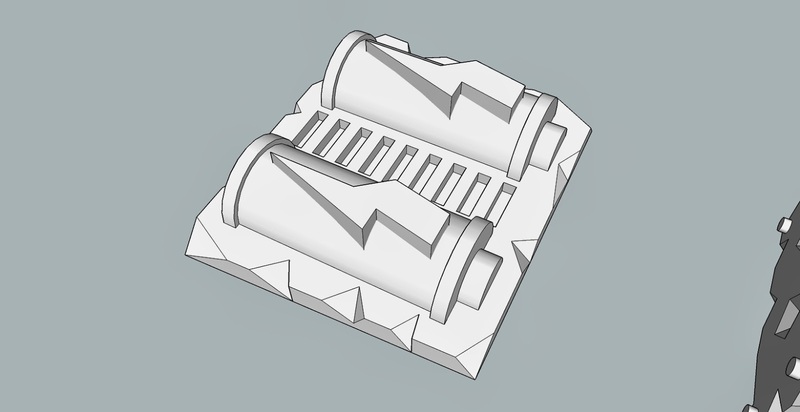 I still need to hollow out the models to make the viable for printing on Shapeways. As is, it would cost around $45 per tank. I need to get that down significantly to make it affordable. Otherwise, I would just be buying actual Forgeworld Grot Tanks. Of course, my plan is to print a single master set and make resin dupes. A new buddy of mine is going to teach me how to do proper resin casting about two weeks from now. I'm pretty excited for it!